Scratch Golf Company was formed on August 17, 1988, for the sole purpose of providing superbly conditioned and professionally managed facilities for the golfing public’s enjoyment. With a wealth of successful experiences in other types of business, the general partners of Scratch Golf had the vision to approach this new endeavor just as any other business venture. Their approach, from the beginning, was to run golf courses as businesses, recognizing that a satisfactory return on investment was essential to sustained growth, even if that meant abandoning some of the more traditional golf club management philosophies. As a result of their vision, the company has been extremely successful during its eleven years in business. The company's first step into the golfing industry began in August 1988, when it purchased 316 acres of prime land just off Hilton Head Island, South Carolina, along U.S. Highway 278. Shortly thereafter, in October 1988, construction began on what later became known as Hilton Head National Golf Club. On November 1, 1989, this 18-hole Gary Player signature course opened for play and quickly established itself as one of Hilton Head's best. 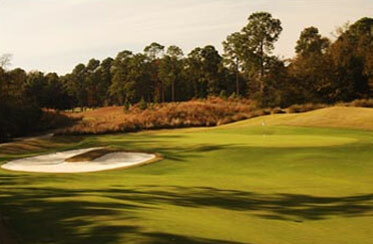 It was named a USA Today Golf Atlas "Top Fifty Course" and a Coastal Carolina Golf Map "Top Twenty Layout". In November 1998 an additional nine holes, designed by renowned architect Bobby Weed, was opened adding variety to the playing experience and increasing its capacity. In June 2010 Hilton Head National returned to an 18-hole golf course. Scratch Golf’s next acquisition was the Jacaranda Golf Club in Fort Lauderdale, Florida on July 17, 1989. 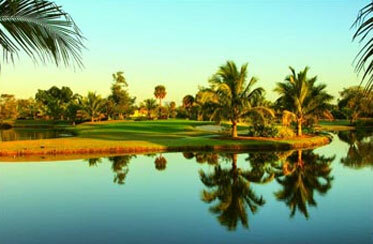 Jacaranda is a 36-hole semi-private golf facility with an outstanding reputation throughout South Florida. The two championship layouts have played host to USGA tournaments and many PGA qualifying events. Since purchasing the club, both courses have undergone major renovations and are now in excellent condition. Major renovations have also been made to the clubhouse. These facility upgrades, coupled with the implementation of the Scratch golf management philosophy, have turned Jacaranda into one of the company’s most profitable operations. The third addition to the Scratch Golf family of courses occurred in November 1991, with the purchase of Dunes West Golf Club in Mt. Pleasant, South Carolina, just a few miles north of Charleston. This Arthur Hills designed course, built on the site of the historic Lexington Plantation, was named a “Top Ten New Resort Course” by Golf Magazine and was chosen to host the 1992 nationally televised AMOCO-CENTEL Championship. Desiring to expand operations in Florida, Scratch golf acquired approximately 178 acres in Melbourne, Florida in early 1993, and immediately began construction of Baytree National Golf Links. Baytree National, the second Gary Player signature course in the Scratch Golf family, is thought by many to be one of Gary’s best efforts. It officially opened for business in February 1994 as a semi-private club and has quickly gained the reputation of being the best conditioned and most professionally run course in the area and has appropriately been named Brevard County’s “Best Golf Facility” for the last five years. The fifth course added to Scratch Golf’s family of outstanding golf facilities, was Timacuan Golf and Country Club in Lake Mary, Florida, just a few miles northeast of Orlando. The course, which was built by the Stenstrom family in 1987, was redesigned in late 1996 by Bobby Weed and is considered one of best and most challenging layouts in Central Florida. It too, is a semi-private club with a magnificent clubhouse and an excellent practice facility. The par four #2 was recognized as one of Florida’s “18 Most Difficult Holes”. The Scottish links flair on the front nine and a Pinehurst sand hills look on the back make Timacuan one of the most popular golf destinations in Central Florida. Scratch Golf built its sixth course, Slammer & Squire, in 1996 at the World Golf Village in St. Augustine, Florida. Hall of Fame members Sam (The Slammer) Snead and Gene (The Squire) Sarazen served as consultants to course architect Bobby Weed for Slammer & Squire. The 6,939-yard resort course offers views of the World Golf Hall of Fame from several holes and is distinguished by memorable par-3's, preserved woodlands, wetlands and natural beauty. Slammer & Squire has hosted several nationally televised events including the Liberty Mutual Legends of Golf. The seventh course, King & Bear, was constructed in 1998 again at the World Golf Village in St. Augustine, Florida. The course was named for its co-designers, World Golf Hall of Fame members Arnold Palmer and Jack Nicklaus. It is the first-and-only course design collaboration between two of golf's most respected and well-known ambassadors. Palmer and Nicklaus set out to create the 7,279-yard course as an eminently playable and picturesque course with memorable par-5's amid lakes, loblolly pines and 200-year-old live oaks. Currently today Scratch Golf owns Hilton Head National and Jacaranda Golf Clubs. Scratch Golf will continue to purchase existing facilities that offer a high return on investment, as well as construct new courses in areas with promising golf markets.